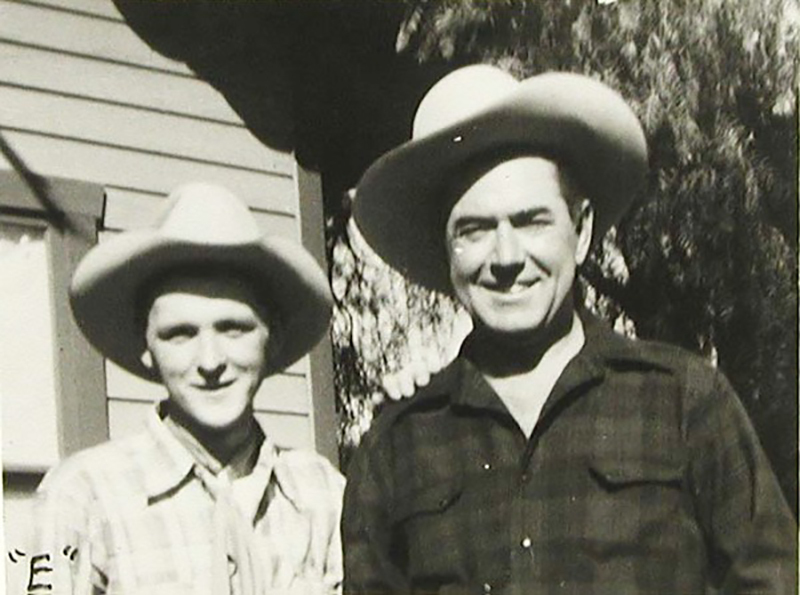 SCVHistory.com LW2111 | Melody Ranch | Johnny Mack Brown at Monogram Ranch, 1949. Johnny Mack Brown, star of "B" Westerns in the 1930s and '40s, is at right. The identity of the man at left is not known. An original caption identifies the man as Joe Brooks — Trooper Vanderbilt in TV's "F Troop" — but Brooks' son, Mike Brooks, informs us (Jan. 29, 2006) that it definitely is not him. 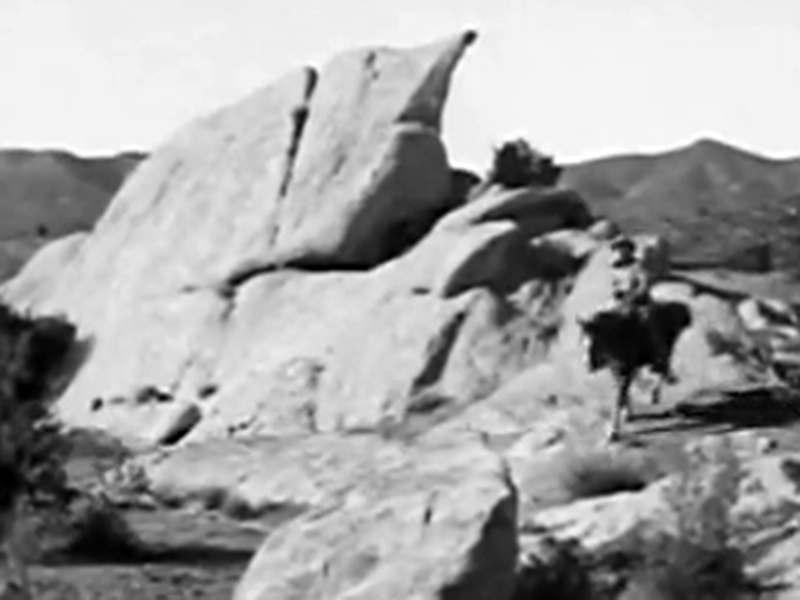 The photo was taken at the Monogram Ranch (later Melody Ranch) in Placerita Canyon, Newhall, in 1949. From left to right: Joe Brooks and Johnny Mack Brown. This photo was taken at Monogram's ranch in Newhall in 1949. Johnny's first Western was for Metro-Goldwyn-Mayer, titled "Billy The Kid." From there he went to Universal for a series of Westerns; later he made a number of "oaters" for dear old Monogram. He also starred with Greta Garbo in the famous silent, "The Green Hat." LW2111: 9600 dpi jpeg from smaller jpeg.